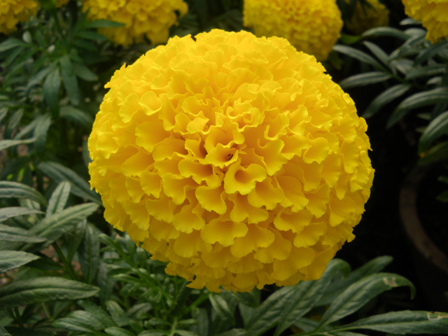 Vigorous plant, good disease tolerant, high plant: 30-40 cm, small leaves, deep green, light orange flower, large flower, (flower size 8-3,5 cm). A plant have about 10 – 12 flowers. Blossoming 55-60 days after sowing.